Want to be really SEEN? Who the heck would purposely want to feel that? Emotional exposure?? We want certainty, we want to play it safe, we want to know the outcome, and we don&apos;t want to be rejected!! We want to be liked & approved of. My example is Stepping out of the boat & walk on water. Whether you are starting a new business, doing a huge move, in a new relationship, speaking up, standing for a belief when the crowd is against it, debuting a radical new look, raising a child, living with a sickness...you can name so many things. It&apos;s rough & scary. BUT The most amazing, wonderful, grace filled, adventurous, abundant, healing, blessings, and NEXT LEVEL SH&T comes from it!! 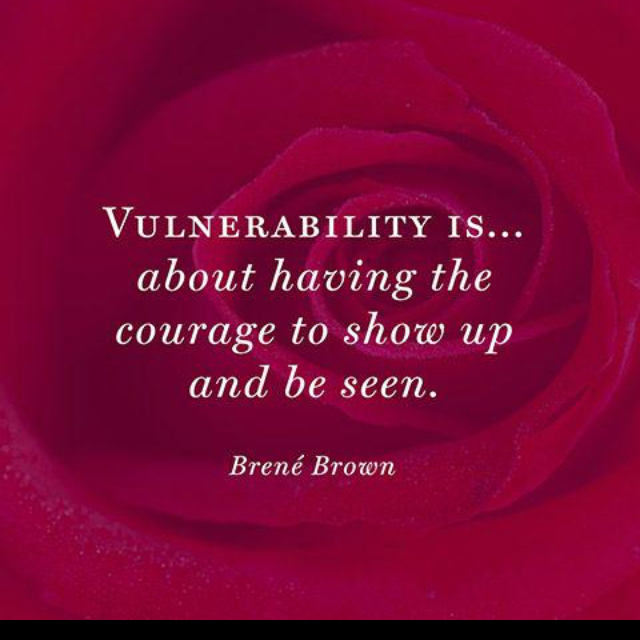 It usually comes from vulnerability. Taking a step off the boat & waking on water or dipping toes in it. 1- is to practice and continue to build and grow our mindset & the lessons we learn in life ***& to be very grounded and rooted in our self worth and self value. 3-Practicing practicing practicing tools & lessons & truth that fill your mind and soul with that worthiness. 4-Being, spreading, creating, sharing, and radiating LOVE! Love surpasses all. expose love and be kind and compassionate to others & make an impact & difference in world that is GREATER than you. You Never lose when your actions are rooted in true unconditional love. 5-And finally become detached from the outcome. whatever it is---do it because you&apos;re passionate about it; you&apos;re excited about it & the true loving & honorable purpose behind it ...then detach from the outcome. I wrote a book! All my love, passion, hard knocks, experiences & truths I&apos;ve learned! Empowerment & inspiration & love to build your mindset, self confidence, and to really thrive in all areas of your life. It&apos;s it all written how I talk! Whoop! Grab one this fall!! Grab 5! You are going to want your staff, your employees, your boss, your friends, your family, your teens, & freaking your local florist to read this! !